Situated a few kilometres north of the bustling heart of Hamburg, this leafy four-star luxury camping site lets you make the most of your visit to the city. 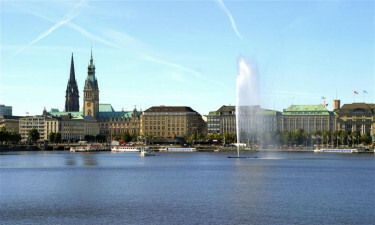 At the same time, Camping Hamburg lets you enjoy this vibrant city while outdoors in a comfortable mobile home. This three-hectare holiday camping site in Hamburg is open year-round, offering a relaxed setting just outside the city centre. The A7 motorway and public transport provide convenient access to spacious pitches for your tent or mobile home at Camping Hamburg. 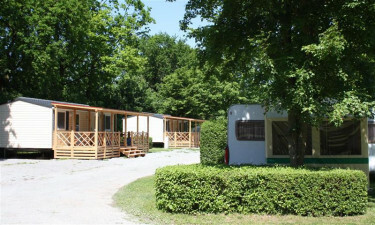 Book your stay at this superb camping holiday destination today with LuxCamp! 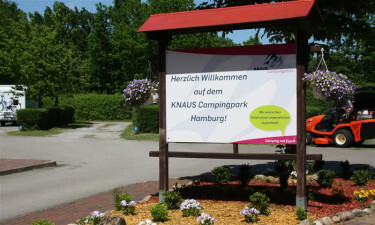 This easily accessible camping holiday site offers an inexpensive option for enjoying the outdoors close to Hamburg. You are a short subway or bus journey to the city’s iconic landmarks, including its historic port. The Reeperbahn is nearby with popular restaurants, bars, clubs and more. Great amenities at this luxury camping site provide many of comforts from home. A comfortable lounge is equipped with a TV, and you can stay active with the campground’s football pitch. There is also a campground shop with essentials for your stay. There are lots of activities close to the campground. You can buy tickets to the Miniature Wonderland, home to the world’s largest model railroad. An outdoor swimming pool is within 600 metres, and a heated indoor pool is 1,000 metres away. Children will also fall in love with an on-site playground and a nearby petting zoo.